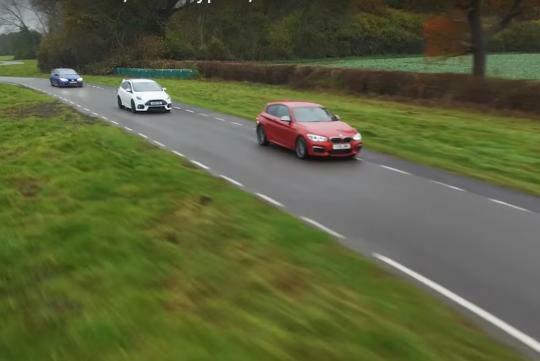 Car throttle took three of the fastest hatchbacks to a small track to find out which would clock the quickest time between all-wheel drive, front-wheel drive and rear-wheel drive. Representing the all-wheel drive class is the widely-acclaimed Ford Focus RS while the front-wheel drive weapon chosen by the team is the Honda Civic Type R. We wonder why they didn't choose the Volkswagen Golf Clubsport S instead... Lastly, the new BMW M140i, which has just landed on our shores, is the rear-wheel drive representative. Hot hatch enthusiasts will probably be able to guess the outcome of the test since the course is wet. Nevertheless, it is still a decently entertaining video to watch if you have sometime to burn. RWD is lairy, hairy fun haha.